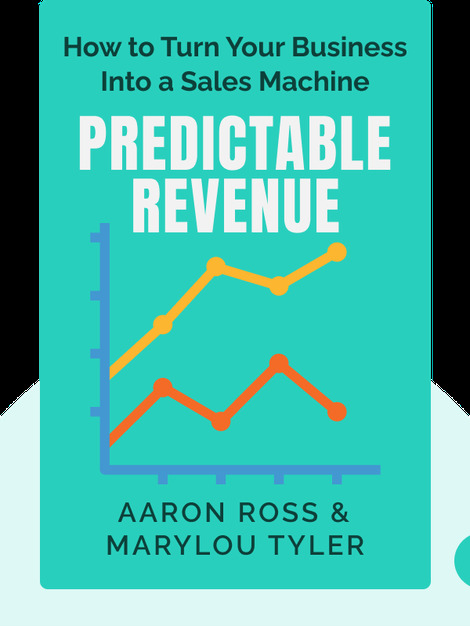 Predictable Revenue (2014) breaks open the secrets of the hugely successful SalesForce.com. You can’t bid for more investment if your future sales are a mystery, so follow the steps in these blinks to anatomize and optimize your salesforce and create real – and forecastable – leads that keep on coming. 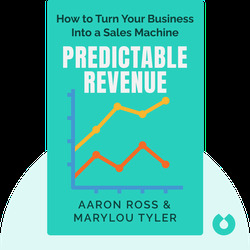 Aaron Ross is the managing director of consultants Predictable Revenue, Inc. In his previous work at SalesForce.com, he and his team were responsible for new sales techniques that revolutionized the principles behind sales and cold calling. He’s also the author of CEOflow: Turn Your Employees into Mini-CEOs. Marylou Tyler is the CEO of Predictable Revenue, Inc. After 25 years in the sales business, she’s racked up clients like Apple, Deloitte and Mastercard.